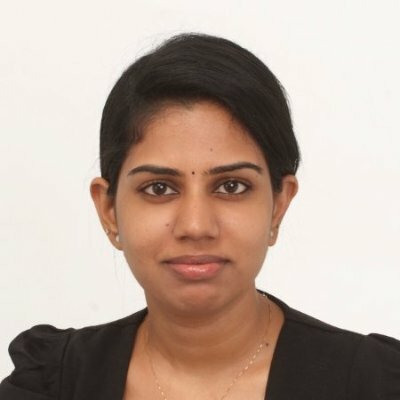 Dr. Radha Sree Krishna Moorthy, Post Doc Research Associate at the FREEDM Systems Center, won the IEEE Industry Applications Society Chapters and Membership Development (IAS CMD) Student Thesis Contest, PhD category, for her work entitled, “Analysis and Design of Impulse Commutated Soft-Switching Current-fed Converters”. This thesis was published during her studies at the University of Singapore under the supervision of Professor Akshay Kumar Rathore. Dr. Moorthy will attend the 2017 IAS Annual Meeting in October to present her work and receive recognition. The IAS Student Thesis Contest recognizes the best emerging academic work within the scope of the IEEE Industry Applications Society. You can read the full thesis here and the abstract below. In renewable energy applications, current-fed dc/dc converters with low input current ripple are viable alternatives for voltage-fed converters. With their innate boost nature and inherent short circuit protection, these step-up converters can provide high voltage gain with lower turns ratio. The thesis, introduces a new class of such converters termed as impulse commutated current-fed converters. Impulse commutation in current-fed converters utilizes the transformer parasitics and additional high frequency capacitors to achieve zero current switching (ZCS) of the semiconductor devices. Variable frequency modulation ensures load and source adaptive ZCS, power transfer and load voltage regulation. By utilizing the energy stored in the leakage inductance for soft commutation, this class of converters offer a cost-effective solution for eliminating the traditional issue of turn-off spike in such converters. The device voltages get naturally clamped to the reflected load voltage. The thesis studies the steady-state operation, design and the performance of impulse commutated current-fed converters in detail. Experimental results on proof-of-concept prototypes have been presented to validate the operation and performance of the proposed converters.